You are here: Home / Partner / For whom the bell rang . . . .
For whom the bell rang . . . . The bell rang, echoing throughout the temple grounds. It signaled for those nearby to come and pray. One-by-one people from this Vietnamese neighborhood silently filed in and bowed to the statue of Buddha with neon, fluorescent lights flashing around its head. Nestled in a corner of the temple grounds, a group of Georgia Acteens also bowed their heads to pray. They prayed for hearts to open to the “One, True, Creator God.” They prayed for “Light to come to the dark places.” They prayed and prayed, taking turns at sneaking peeks to see what was happening around them. It’s hard keeping eyes closed when it’s your first time inside a Buddhist temple. Read the full article on Asia Stories. 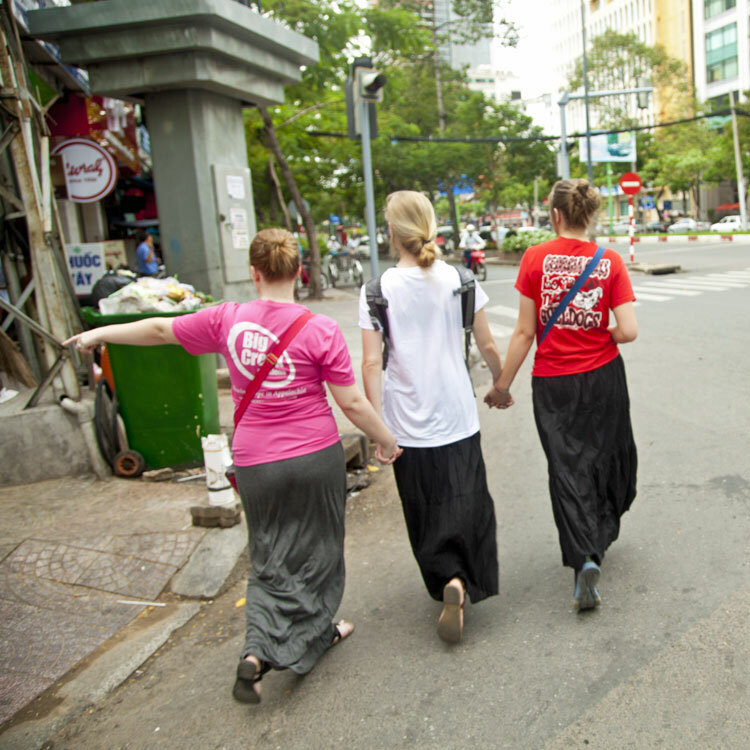 For resources to virtually follow in their prayerwalking footsteps go here.